A Jewish 10-year-old boy was attacked in Crown Heights Monday by two black girls, in an escalating spiral of racial crime that Jewish community activists call a “knockout” game by a school gang. 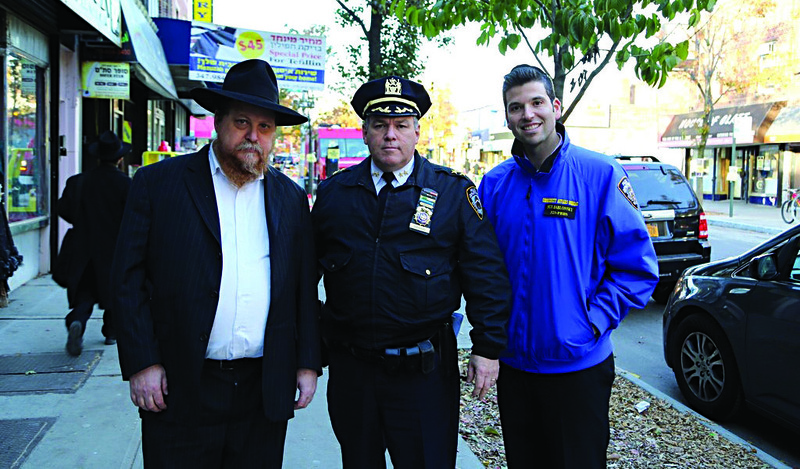 The attack occurred at about 10:15 a.m. on Brooklyn Avenue, outside Campus Chomesh, a large Lubavitcher girls’ school. Two black girls, aged about 15, approached the boy, shoved their book bag over his face and knocked him to the ground. They then fled the scene before Hatzolah and Shomrim arrived. The boy, a student at Yeshiva Darchai Menachem, went with his rebbi to the 71st Precinct to file a report. He was uninjured in the attack. Police have responded to an intensification of race crimes in the area with a surge in beat cops, which began on Friday. None of the extra officers assigned to patrol the neighborhood were at the scene at the time of the attack. Jewish residents are anxious about the increase in crime, especially given the history of race riots that the neighborhood suffered 22 years ago. About ten serious incidents occurred over the past two months, in which a group of African-American teens quickly attack a Jew, knock him to the ground, and then make their getaway. Jewish leaders are scheduled to meet leaders in the local black community on Tuesday morning for a breakfast in an effort to lower the tensions. Also expected to attend are Comptroller-elect Scott Stringer, currently Manhattan’s borough president, and Laurie Cumbo, the councilwoman-elect for the area. A press conference held by black leaders on Monday to protest the knockout attacks did not invite representatives of Jewish groups. This article appeared in print on page 1 of the November 19th, 2013 edition of Hamodia.